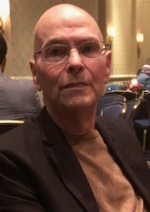 James Bernard Kenny, 62, of Finksburg, MD passed away on January 31, 2019. Born July 12, 1956 in San Diego, CA, he was the son of the late Bernard and Maxine (Martin) Kenny and the devoted husband of Sandra Ann Kenny. Jim is preceded in death by his parents and son, Steven Michael Kenny. He is survived by his beloved wife, Sandra Ann Kenny; two sons: Timothy James Kenny of Finksburg, MD, Jeffery Scott Kenny and wife Alexandra of Darlington, MD; sister, Phyllis Krick of Baltimore, MD; four grandchildren: Skyler Patrick Kenny, Peyton James Kenny, Lillian Jade Kenny, and Luca James Kenny, and a multitude of family and friends. A visitation will be held on Monday, February 4, 2019, from 3:00 pm - 5:00 pm & 7:00 pm - 9:00 pm and on Tuesday from 10:00 am – 11:00 am at the Eline Funeral Home, 2901 Bloom Rd, Finksburg, MD. A Celebration of Jim's Life will be held on Tuesday, February 5, 2019, at 11:00 am at the Funeral Home with Pastor Andy Vineberg officiating. Interment will be in Lake View Memorial Park.